Is national monument Mukuyu tree in Kabwe forgotten? OUT of many different species of trees in Kabwe, The Big Tree stands out for two reasons. Its historic significance and its imposing size, with branches spread outwards creating a unique green canopy measuring over 50 metres. This tree and Bwacha House, where former United National Independence Party secretary general Grey Zulu lived during Northern Rhodesia’s struggle for independence, are the two national monuments in Kabwe, formerly known as Broken Hill town. However, this tree is currently not enjoying the status it has been accorded, as from afar, the site is a hive of business activities and can be easily mistaken for a market. Commonly known as Mukuyu (Fig tree) among the locals, The Big Tree stands tall on Kabwe’s Freedom Way about a kilometre away from the Kabwe Civic Centre office. Decades ago, the site was an assembly area for donkeys and caravans enroute to the north and north-east when Broken Hill was a railhead for most of North-Western Rhodesia. 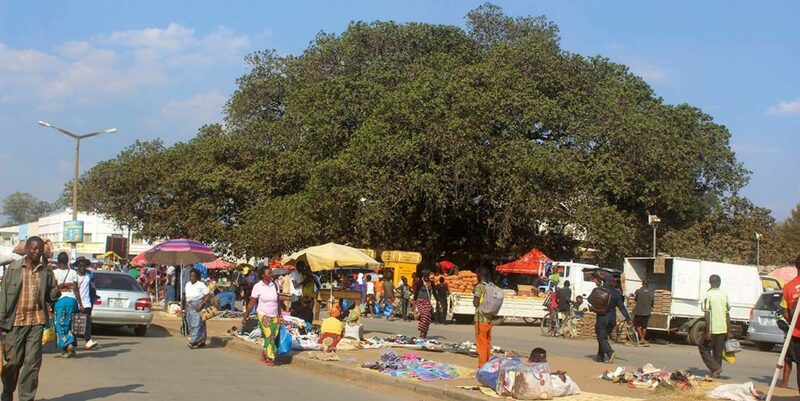 However, because of its location near the Town Centre Market and maybe because of its wide branches offering cool shade, wooden tables where traders (mostly women) display Kapenta, beans, second hand clothes and shoes now surround The Big Tree. Traders dealing in mobile phones, phone accessories and talk time have also established booths while others mount umbrellas. Within the steel fence housing the tree, drinks and food staffs are on sale. Hawkers also target people resting under the leafy shade to sell their goods. It is common to see people in pairs or groups under the canopy The Big Tree which offers a cool breeze-even during a hot day. Because of its historic significance, The Big Tree is one of the symbols on the emblem of Kabwe Municipal Council (KMC). The Bank of Zambia (BoZ) in 2002 also recognised the historic significance of the tree and depicted it on K50 banknotes. 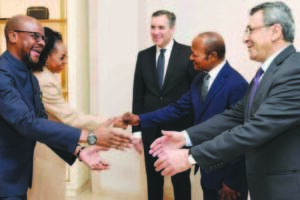 BOZ further rehabilitated the site in 2006 to bolster tourism in Kabwe. A steel fence around the site and chairs and tables within the fence were erected. However, the business activity around the tree has significantly reduced the attraction. Many seem to attach very little value to its significance. 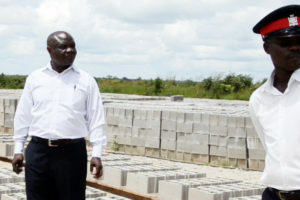 Jennipher Mwansa, who started selling Kapenta at The Big Tree in 2012, struggles to discuss The Big Tree despite information being readily available on two marble stones and a billboard. “People say this is an important site, and I also think it’s an important tree, people must come and see it for themselves,” Ms Mwansa says. Even after BoZ’s intervention, the council has been experiencing challenges in maintaining the national monument. Chairs and tables have been vandalised. Discarded empty bottles of soft drinks, water, plastics and other waste are indiscriminately thrown. People now sit on the ruins or on stones at the base of the tree. These retrogressive practices compromise the status of the national monument. “We have people who clean that area but people just throw litter anyhow,” KMC assistant public relations manager Mumba Mafwenko said. Ms Mafwenko said KMC, in partnership with National Heritage Conservation Commission (NHCC), has responsibility of maintaining and safeguarding the site from harmful human activities. The two institutions are now exploring ways to establish an information centre at the site so that people can access information on The Big Tree. The Big Tree is listed as one of the important heritage sites in Zambia. NHCC executive director Collins Chipote says The Big Tree was declared a national monument because of its historic significance. “As National Heritage, we want to ensure that The Big Tree is well maintained and preserved, so the vending around the site is a source of concern,” he said. District commissioner for Kabwe, Dominic Mulenga agrees with the two organisations that there is a need to protect the site and maintain a clean environment. 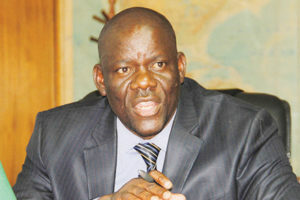 Mr Mulenga says the indiscriminate disposal of litter has the potential of denting the image of the national monument. Edward Phiri, who first saw the fig tree in 1941, and has seen the fig tree blossom to its current stature, said it looked more beautiful when it was maintained and was clean. “I established a tailoring business at a shop near this tree in 1981, so I can see how untidy the area has become with the increase in the number of people seeking shelter at the site,” he said. Mr Phiri believes this has contributed to a reduction in the number of tourists. As stakeholders continue to deliberate over this, The Big Tree’s history continues to be written, at the moment serving as a shelter for traders. “We are more than 100 game ranches in Zambia covering a little more than 6000 km2 altogether managing about 100,000 animals producing probably around 300 tonnes of meat per year. This is commendable but insignificant in comparison to the demand,” he said. He, however, emphasised that this was not enough to provide the urban market, which is the highest consumer of game meat. “Let me illustrate. Let’s imagine that the half of the two million people living in Lusaka eat once per month 100g of game meat. This is 1,200 tonnes of meat per year or about 240,000 impalas,” he said. The entire game ranch production can satisfy no more than three months of this demand assuming the entire production goes to Lusaka. “To reduce poaching our national game ranching capacity must increase by at least 10 to 100 times,” he said. Mr Pavy said a suitable legal framework is required that encourages Zambian communities and foreign investors and farmers to allocate land for wildlife that actively produce game meat and help to increase the production of legal game meat. While the department encourages citizens to spread this message to family members, friends and workmates, it remains to be seen whether this long tradition of consuming newspaper wrapped delicacies will stop.